Justin Bieber sent fans into a frenzy by posting a sonogram and photos of wife Hailey with a 'bump' on April Fools' Day. The singer, 25, first shared a scan of a baby on Monday. However, the image matches up to one available on Google. But Bieber doubled down on the pregnancy buzz by later sharing photos of Hailey with an apparent bump at a doctor's office. Medical staff are seen touching her stomach her while she's hooked up to an IV. 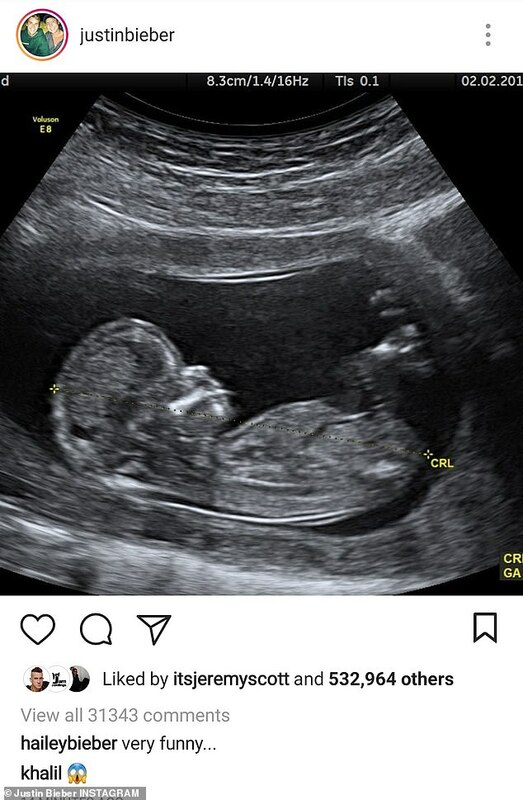 Shortly after Bieber revealed it was in fact all a prank as he posted another ultrasound but this time showing a puppy photoshopped into it.